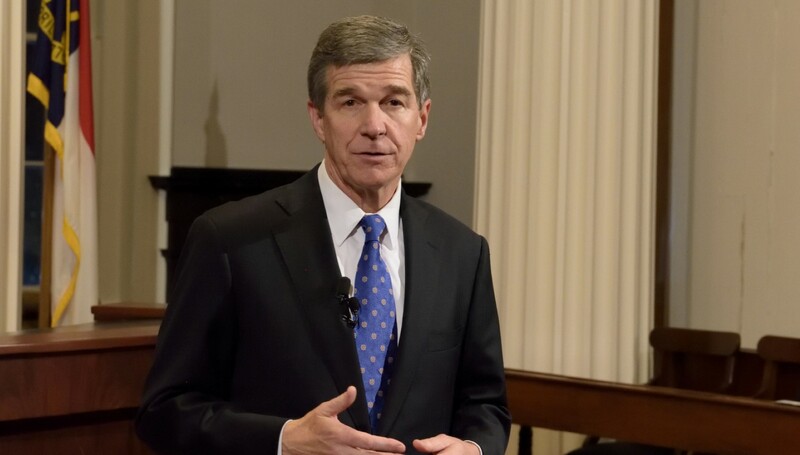 This month Govenor Roy Cooper announced new appointments to North Carolina Boards and Commissions, including the North Carolina Courts Commission, the Criminal Justice Education and Training Standards Commission, and the North Carolina State Board of Agriculture. Andrea Harris of Henderson as Tier 1 or Tier 2 County representative. As co-founder of the N.C. Institute of Minority Economic Development, Harris has dedicated her life to supporting economic growth through small business development. Abdul Rasheed of Henderson as Tier 1 or Tier 2 County representative. Rasheed is the CEO of the William C. Friday Fellowship for Human Relations, and he has a passion for assisting low-income areas across the state. Stephanie Ellis Freeman of Apex as state corrections representative. She is currently the Organizational Development Administrator of NC Administrative Office of the Courts. For many years, Freeman has served as an instructor teaching courses in criminology, justice, and law enforcement. Tasha Jones Butts of Durham as juvenile justice officer. Butts serves as the Chief Court Counselor for the North Carolina Department of Public Safety and is an advocate against juvenile delinquency. Representative Darren Jackson of Raleigh as member of the General Assembly. A lifelong resident of eastern Wake County, Jackson is an attorney and businessman. He has also served as a mentor in the Communities in Schools program at East Wake Middle and Vice-President of the East Wake Education Foundation. District Attorney Lorrin Freeman of Raleigh as District Attorney member. Serving as Wake County District Attorney since 2014, Freeman brings decades of legal experience to the commission. Freeman has also worked with the North Carolina Domestic Violence Commission and the Governor’s Task Force on Mental Health and Substance Abuse. Norrin Charles Post of Sanford as practicing attorney member. A Partner and Attorney at Doster, Post, Foushee, Post & Patton since 1983, he is also a member of the Central Carolina Community College Board of Trustees. Representative Joe John of Raleigh as member of the General Assembly. Before being elected to the North Carolina General Assembly in 2016, he served as the Director of the State Crime Lab and Associate Judge of the North Carolina Court of Appeals. Sallie K. James of Raleigh as designee from the Governor’s Office. A member of the Governor’s Office of Public Engagement, she holds a Bachelor of Arts from Wake Forest University and a Master of Public Administration from New York University. Yvonne Johnson of Greensboro as expert in delivery of human, educational, environment, homeland security or public safety services. Currently serving as the Mayor Pro Tem in Greensboro, Johnson has previously served as Mayor and City Council Member. Yvonne Kinston of Fayetteville as representative of local labor organizations. As an employee at AT&T Mobility for over 15 years, she is also a Board Member of the NC State AFL-CIO. Craig Reed of Raleigh as expert in the education of disadvantaged youth. An Army veteran and former Health Promotions Director at the Department of Defense, Reed taught in the Political Science departments of many colleges and universities across the state. Amber Smith of Raleigh as a nonprofit agency representative. Currently the Executive Director and founder of Activate Good, Smith is a graduate of NC State University. Sandra L. O’Connor of Greensboro as realtor. She is the Broker in Charge at Allen Tate Company and has worked there since 2005. O’Connor served as President of the North Carolina Association of Realtors in 2009 and was named the NC Realtor of the year in 2014. Thomas DeFrantz of Durham as an at-large member. Along with teaching Dance and Theater Studies at Duke University, he is also the Chair of the African and African American Studies department. Louise Coggins of Wilmington as an at-large member. A graduate of the University of North Carolina at Chapel Hill, Coggins has practiced psychotherapy for the past 39 years and is an activist for the status of women and domestic violence organizations. Eleanor Owen of Asheville as an at-large member. An avid volunteer throughout North Carolina, Owen has held positions with Caring for Children and MemoryCare, along with co-founding Women for Women giving circle. John B. Wilson of Chapel Hill as chair. A filmmaker and an educator at the University of North Carolina at Chapel Hill, Wilson has directed and produced many documentaries about the history of North Carolina. Cyndee G. Patterson of Charlotte as an at-large member. Patterson served as an at-large Charlotte City Council member, 1985-1993 and Mayor Pro Tem, 1989-1991. As President of a nonprofit organization, Patterson has overseen the revitalization of the Duke Mansion and the Lee Institute. Donald Spivey of Norwood as an at-large member. As the current CEO of Pee Dee Electric Membership Corporation, Spivey brings experience in leadership and business development. Carolyn Bradley of Jackson as an at-large member. A board member for Roanoke Electric Cooperative for over 20 years, Bradley possesses a strong background in leadership and economic development. Steven Hunt of Pembroke as an at-large member. Hunt has been the CEO of Lumbee River EMC for the past 4 years. After graduating from the University of North Carolina at Pembroke, Hunt worked for Campbell Soup and Unilever HPC. Joe Pierce of Charlotte as a representative from the tourism industry. Pierce serves as the Hornets Sports and Entertainment’s Vice President and General Counsel, and has held similar positions with Bank of America and Comcast Sports Group. Richard Moore of Kings Mountain as an at-large member. Moore has been a member of the Kings Mountain City Council for the past 12 years. A veteran and Post Commander of American Legion Post 155, Moore has served on the Kings Mountain Travel and Tourism Commission. Valerie Green of Apex as a parent member. Green brings personal experience to the board as she has cared for a family member with hydrocephalus. Scott A. Tyson of Nashville as fruit or vegetable farmer. Tyson leads the Oakland Grove Farming Corporation. He is the founder of Nash Produce and currently serves on the Board of Directors for United Tobacco Company. Ken Kinion of Raleigh as consumer finance licensee. Kinion has 25 years of experience in the industry and serves as Vice President and Manager of Government Relations at OneMain Holdings. He is the recipient of a Distinguished Service Award from the South Carolina Financial Services Association.